"I don't like big feet. It reminds me of gammon." North Norfolk Digital's finest DJ is willing to lend some top Alan-chat to your daily commute. 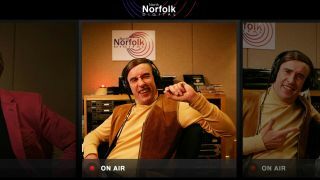 A new app, Radio Alan, plays clips of Alan Partridge in between your songs, making specific references if it recognises a certain artist. The app is available right now on iPhone and iPad. Alan can even rate your record collection, or point you in the direction of his own favourite hits with the 'Partridge Playlist' in-app purchase. The clips were taken from Mid Morning Matters, which means that while Wings fans won't hear "They're only the band that The Beatles could have been," you might hear Alan shout "Keep your clubs away from his young, it's Seal!"